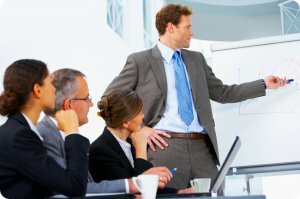 Effective sales presentations require substantial planning, preparation and practice. It starts with researching and understanding well your prospect’s situation and needs, which means asking the right questions and listening and processing it all into a carefully crafted offering. The actual live performance should be well rehearsed and delivered professionally, but not so memorised that it appears robotic or becomes a monologue. Whether selling a product, a service – or yourself in a job interview – a good sales pitch must be engaging, interactive and productive.